A Consumer Unit (CU) is another phrase for a fuse box; they are responsible for keeping you safe. 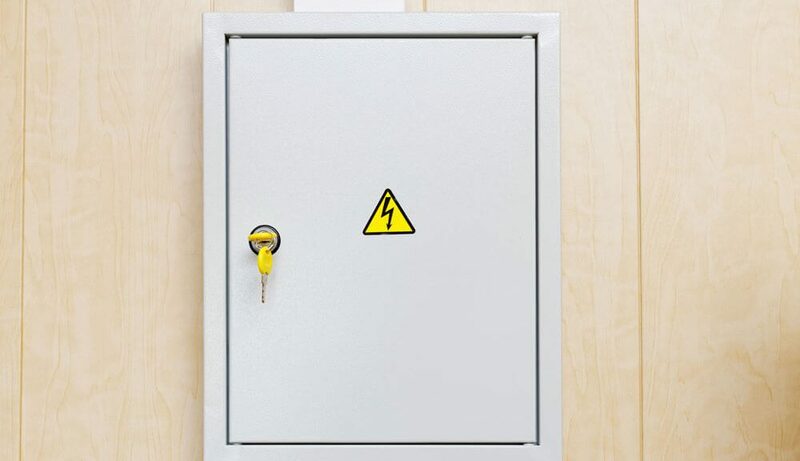 They cut off the current of electricity if any faults are detected, however, if your fuse box is old or damaged it can potentially put you at risk. In this article, we discuss when to upgrade or replace your consumer unit so you can feel secure. Firstly, we should talk about what a consumer unit should do. Not only should they control the electrical function of your home, they are also able to detect any dangerous problems. The new RCD is now fitted in all homes, due to its dual protection capabilities. They are able to detect faulty appliances before you know they are faulty, and they activate in less than a second if a live wire is touched in your home. If your consumer unit still contains the old ‘tripping’ protection rather than an RCD, an upgrade is recommended. If your consumer unit is old, then there is a possibility it contains old wires, and like anything else, as they depreciate it can become a huge hazard. More modern RCD consumer units have sensitive switches and activate when something is wrong which keeps you and your family safe. It is always better to be safe than sorry. What are the benefits of a modern Consumer Unit? Modern consumer units can handle more than one electrical appliance without overloading, meaning you are well protected. Homes with older consumer units tend to have a higher insurance; this is because there are more risks to living here, as the chance of having an electrical fire is greater. While a home with a modern consumer unit tends to have a higher resale value because it is more guarded. Even some data centre installers employ the services of qualified electricians to ensure that the electrical connections that are made are safe. The last thing they will want is to cause an electrical fire.